A legal contract between two parties which states the secrecy of information included in that contract between the two parties signing the contract is known as a non-disclosure agreement. 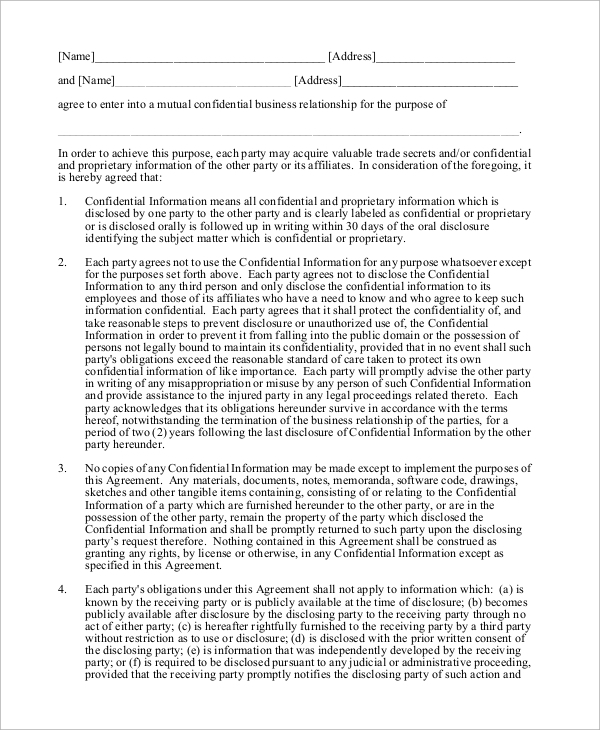 Confidentiality disclosure agreement or Non-disclosure agreement is often signed to protect business information, also known as Trade Secrets, among the business partners who sign the NDA document. 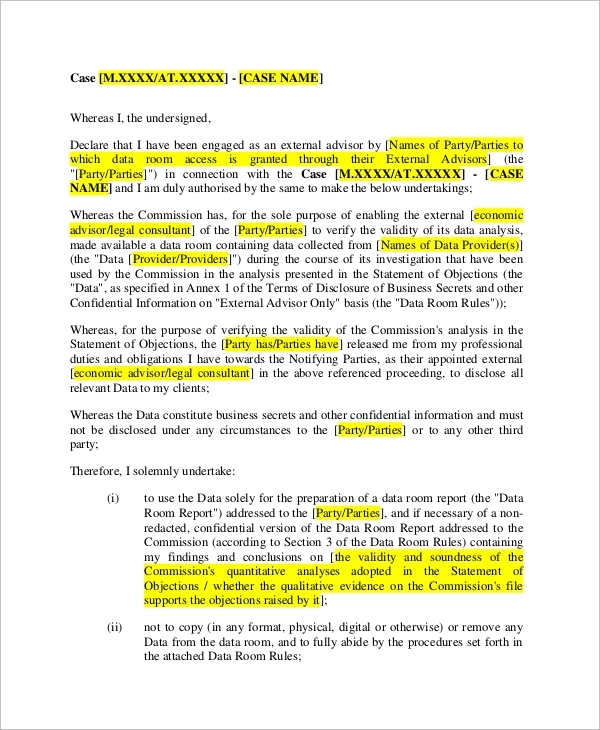 According to the Sample Agreements, no third party intervention of information stated in the document is legally allowed. One way Non-disclosure Agreements are the forms given to individuals involved in the discussion of future rules and regulations of partnership that enlist secrecy of trade information at the top. A unilateral non-disclosure agreement is included in documents, signed by the either individuals involved in the business partnership stating the conditions by which either has to protect the company’s information. 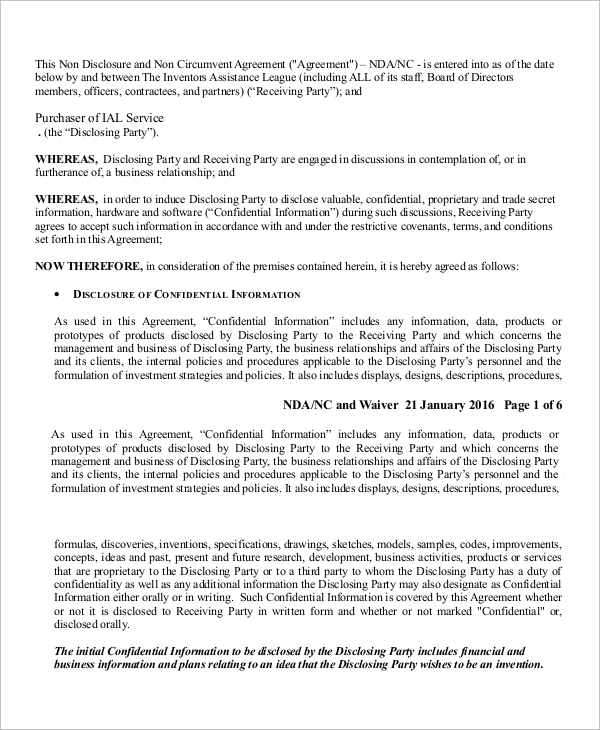 A mutual non-disclosure agreement is a Legal Contract signed between two business partners to mutually protect the proprietary information of either company. 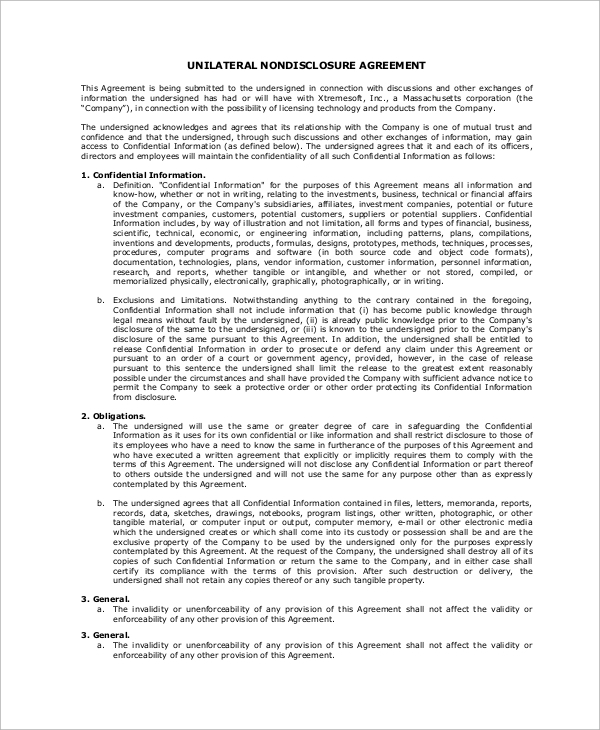 The sample agreement outlines the main sections to be included in the document. Proprietary information Agreement or Non-Disclosure Agreements are essential for legal dealings and contracts between two business companies willing to work together or between two individuals who wish to start up a business together. 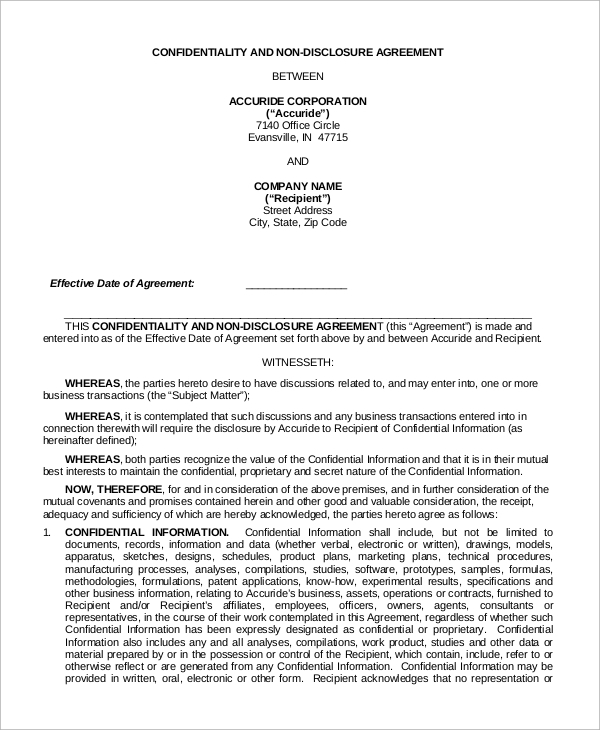 The non-disclosure agreement sample helps the concerned authorities to draft their contribution section in the contract, and both of them state their trade secrets or non-public business information in this contract. 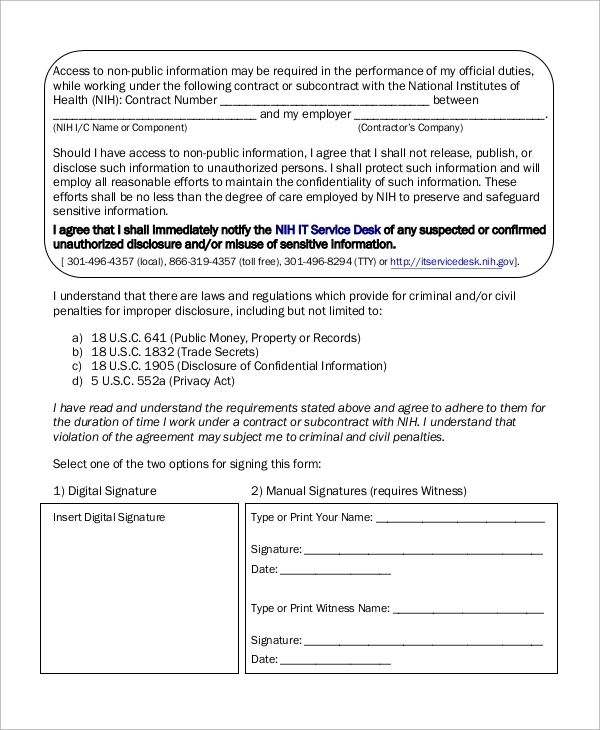 Upon signing the document, the information enclosed in it becomes confidential and legally protected information that is not accessible by any third party. The sample agreements help the trade secrets remain safe with the owners. A contractor Sample Non-Disclosure Agreement is a type of contract, and it is a document that has been prepared by an employer to keep a check in the leak of information by an employee. A non-disclosure confidentiality agreement is signed between two business partners before the beginning of the partnership. 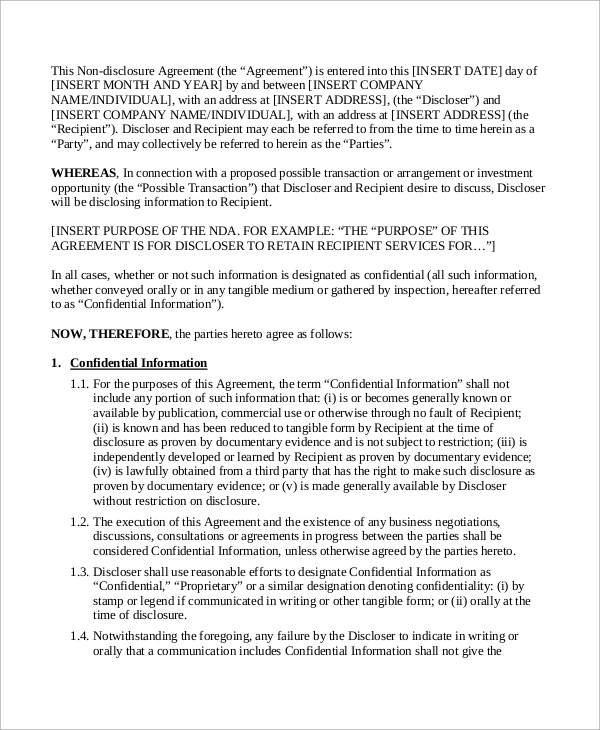 The sample agreement enlists exact forms of disclosure of information among the partners. 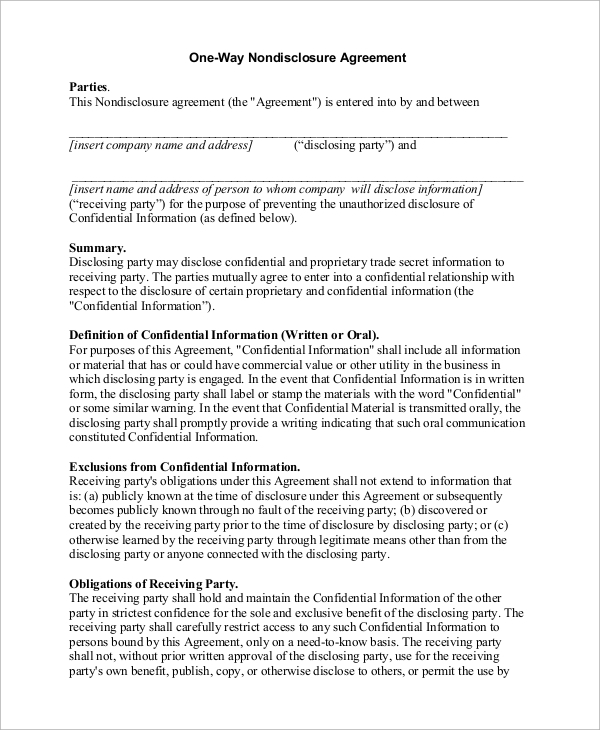 Non-disclosure agreement samples are used as an outline to draft the original and final contract by the business owners or business partners who get along before the official start of working by signing this disclosure, the contract of business partnership is instigated. The sample of non-disclosure agreements is most useful to understand the clauses to be discussed among the business partners and their legal advisors to draft the final contract which needs to be signed by both the parties. For monitoring and keeping a check on project dealings and findings, an employee is required to sign a non-disclosure agreement. 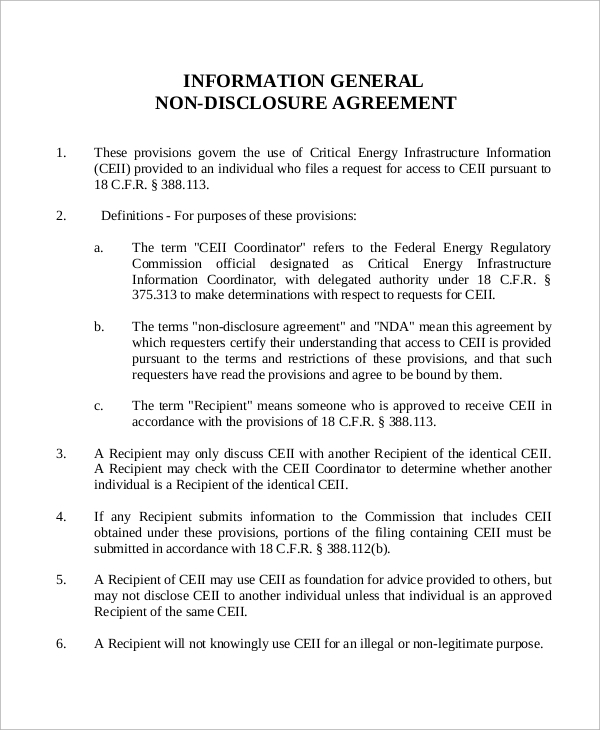 You can also see the Non-Disclosure Agreement Forms. Non-disclosure agreement samples are indispensable in a business deal between two industrial companies or two individuals, who are willing to start a venture together. In this case Non-Disclosure Agreement Samples, state the business secrets of the individual companies and declares that any breach of the agreement by any third party, then the individual is susceptible to face legal repercussions.